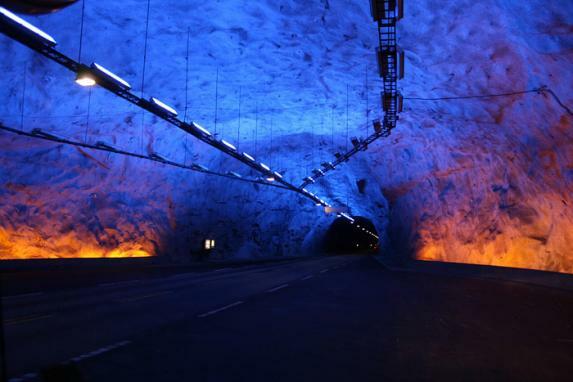 Obviously driving a large portion of your trip in a tunnel would be rather drab. But, if someone opened a tunnel system that allowed you to drive to work in half the time – are you really saying you wouldn’t use it because it’s so much more pleasant to drive your normal route and enjoy the scenery? Building ultra compact means the size of the city can at least be cut in half. Consequently all your travelling can be cut by half as well and still give you the same relevant job or choice of shopping within an hour’s travel from your home. The tunnels do not need to be polluted. The 24km long Lærdalstunnelen in Norway comes equipped with innovative lighting to give an “outdoor effect” as well as air filters to remove pollution. Putting the roads under roofs will actually make it much easier to contain and clean the pollution from the vehicles. Systems do exist for cleaning tunnel air, and at the very least it can be ventilated away from street level. It would also be smart to use electrical trolley buses and put in place incentives for people to develop a preference for electrical cars. Electrical trolley buses is a proven technology which is flexible and simple. There is also a few things that can be done to improve the scenery – the tunnels can be opened up in sections and they can be innovatively lit up or decorated to create a room feeling and improve orientation.